Mike Keir and Karen Johnson-Diamond. Imaged supplied by Verb Theatre. Mike Keir has a story to tell. Actually, he has many stories to tell. A co-production between Verb Theatre and Inside Out Theatre, Mike, Karen, Karen, Mike: A Soap Opera is, at its core, a compelling blend of theatre and biography. Inside Motel Theatre, Keir is joined by director Col Cseke and Karen Johnson-Diamond (co-artistic director of Dirty Laundry). Cseke sits beside Keir, interviewing him about his past. Meanwhile, Johnson-Diamond waits on the side to improvise scenes with Keir – a long-time fan of Dirty Laundry. Keir, who has cerebral palsy, starts his story with an incident that happened between him and a counselor at a camp for youth with disabilities. From this incident, a larger story of abuse, sexuality, and fear unfolds. Keir’s story, however, is not one that can be told in ordinary linear fashion because, unlike stage dramas, real life events cannot be so easily isolated in time and place. There are many ‘characters’ that need to be introduced; relationships that have to be defined; histories that need to be explained. That is why Keir is adamant on backtracking, so that he can give proper context to the events that follow. And as Keir’s story grows larger in its scope, so too does the connection between audience and storyteller. We become involved in this story that is, at times, difficult, but nonetheless engrossing. Keir captures our attention with his frankness, along with his sense of humour. And that humour is a reflection of Keir’s belief that telling a story enough times weakens it. In other words, telling these stories is Keir’s way of overcoming the experiences that have had far-reaching effects on his life. And so, we remember that the stage can mean many different things to many different people. Here, Keir’s stage is one of healing, transformation – moving on. Mike, Karen, Karen, Mike: A Soap Opera is theatre for the soul. 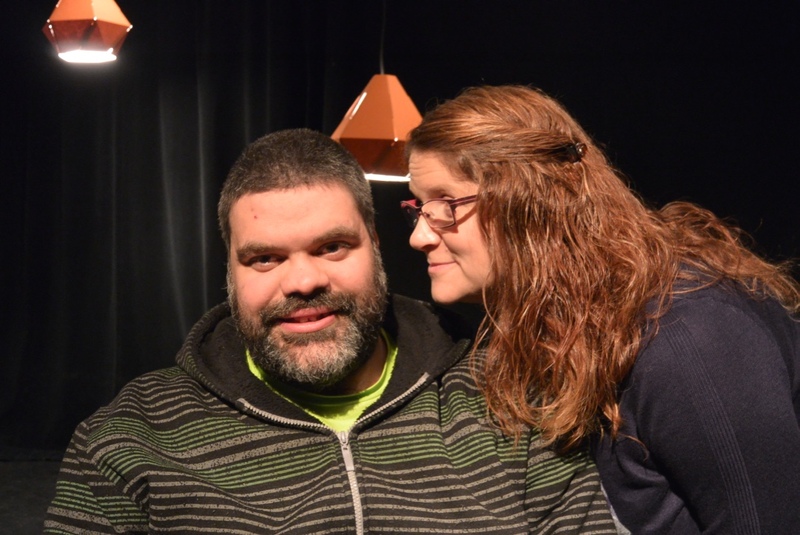 Mike, Karen, Karen, Mike: A Soap Opera runs May 13 – 16 at Motel Theatre.